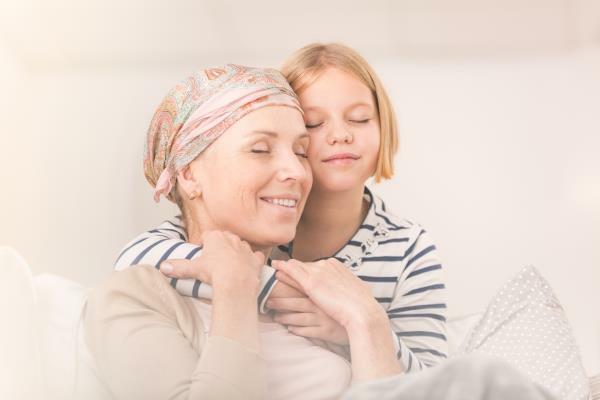 Here are ten ways to improve the results of your chemotherapy whilst reducing the risks and severity of potential side-effects. Yes, you really can make your chemotherapy work better AND also reduce the potential side-effects. It’s true, although most oncologists won’t want to admit it and may even incorrectly worry that your self-help regime will be interfering with their wonder drugs. Here are ten things you can do to increase your personal odds of success and survival. 1. Hyperbaric Oxygen. Oxygen can ‘sensitise’ cancer cells – perhaps a better word would be ‘irritate’. Two Doctors have produced a massive, peer-reviewed meta-study on Hyperbaric Oxygen backed by some 90 references and concluded that sensitizing cancer cells by using HBOT resulted in more being killed during chemo- and radiotherapy; while the oxygen also reduced side-effects and helped you heal. Go to: The benefits of Hyperbaric Oxygen. 2. Take moderate exercise. Exercise can increase oxygen and endorphin levels, both improving the action of chemotherapy and improving your immune system. You should exercise for 45-60 minutes and for 20 of those you should be out of breath. Exercise can reduce tumour growth and make cancers less aggressive in its own right. 3. Calorie Restriction or, better, Fasting. Calorie Restriction is where you eat 15% less calories than you need. In 2012, we covered research from Chicago Medical School where they cut patient carbs so they consumed 15 per cent less calories than they needed during chemo and radiotherapy. The results of the chemo were greatly improved and the research was seen as a breakthrough in the Lancet. Calorie Restriction ‘sensitises’ cancer cells and more are then killed by chemo- and radiotherapy. Of course, your UK dietician and nurses will be struck dumb by this finding as they want you to eat cheeseburgers and chocolate cake during chemo to avoid cachexia. There are at least 3 studies saying fish oils actually help prevent cachexia. Fasting can give the same benefits; you start at least 48 hours before the chemo and continue for the day of chemo, and for half a day after. The initial day of fasting causes the brain to produce sirtuins, which shut down the healthy cells - they take on hardly any of the drugs, avoiding side-effects, while more drugs care available to fight the cancer cells. Think about fasting where all the chemo is given on one day; and Calorie Restriction where multiple chemo drugs are spread out across several days. 4. Look into Whole-body Hyperthermia. Memorial Sloan Kettering in New York have done a lot of research on whole-body hyperthermia (where you heat the body up because cancer cells die at 107/108 degrees). To quote the National Cancer Institute – “The effectiveness of hyperthermia treatment is related to the temperature achieved. Numerous Clinical Trials have studied Hyperthermia with chemo- and radiotherapy. It can also be used for metastatic cancer. Many of these trials have shown significant reduction in tumour size. Side-effects are limited if the temperature is kept below 111 degrees”. 5. Supplement with Curcumin. There are a good number of clinical trials where curcumin enhances the effects of chemotherapy – for example with drugs like 5FU, or cyclophosphamide. It attacks cancer cells in its own right while protecting healthy cells. Beware the person at your Hospital making statements like "it’s an antioxidant and protects cells; and I don’t want it protecting cancer cells". Cancer cells are not like healthy cells, they have a completely different biochemistry. Curcumin attacks cancer cells; it protects healthy cells because of that difference. Go to: Curcumin improves drug treatment. 6. Supplement with Melatonin. The medicinal dose is 20 mg. It works alone or can enhance the action of anti-cancer drugs. Again Sloan Kettering in New York have been involved in research. Dr Russel Reiter, an expert on melatonin says the compound enhances the action of drugs by pre-sensitising cancer cells and everybody should use it with chemo. 7. Supplement with Berberine. Berberine is a proven ’chemosensitiser’ and has shown effects in breast cancer by reducing drug resistance. Similar results have been shown with ovarian cancer. High dose berberine can increase apoptosis through AMPK in the energy pathways of cancer cells. High dose berberine promotes p53 gene activity. It is also know to reduce inflammation through the Cox-2 pathway. Research studies in 2017 and 2018 consistently showed berberine to be an important adjuvant to chemotherapy. 8. Supplement with honokiol. A good number of quality research studies from top Medical Centres have shown that this Chinese Traditional Medicine from the Magnolia plant, greatly reduces metastases, sensitises cancer cells and makes chemotherapy work better. So far the research has been in vitro and in animals but there are several centres calling for human clinical trials. 9. Take 10,000IUs of vitamin D. Taking chemotherapy drugs doesn’t just destroy the immune system - it has been shown that chemo drugs cause severe vitamin D deficiency. Chemo can halve plasma vitamin D levels. And without correct vitamin D plasma levels, your immune system cannot be properly effective. In fact, people with cancer and low vitamin D levels survive least according to Boston Medical School. Normally, they recommend cancer patients take 5,000IUs a day. Logic says you might double this dose when having chemo. Go to: Vitamin D - are you getting enough? 10.1 Avoid debilitating yeast infestation. We all know chemo, like antibiotics, kills off your good gut bacteria. Well, when you are healthy at night time your good (commensal) bacteria eat the yeasts that you take in with your food and drink all day long. Commensal bacteria are your first line of defense against yeast infestations. So for the whole time you are on chemotherapy and until 5-6 weeks after your last dose, take a daily yeast killer like oregano oil, caprylic acid or pau d’arco. Yeasts debilitate you in a number of ways and you need to control them while on chemo. They are one of the major reasons you will have side-effects of fatigue and a lack of energy. They also colonise areas of your body and can reduce oxygen in those areas. They must be addressed! And about 5-6 weeks after you have finished all your drugs, make sure you also start to rebuild your gut microbiome. 10.2 Take multi-strain Probiotics. These will help restrict yeast build up and more: There is an increasing number of studies that show drugs (and especially immunotherapy drugs) give better results if you are simultaneously taking multi-strain probiotics. Conversely antibiotics have been shown to inhibit chemotherapy drug actions. Another way to reduce side effects is to control nausea better. Two simple tips are to chew slices of raw ginger, and so drink peppermint tea. Probiotics can also help. You don’t have to resort to steroids some of which like Dexamethasone can even increase your blood sugar. If you have nausea, think about fasting for 3 days with the next dose of chemo. Beware - some drugs clash with grapefruit and grapefruit juice; others clash with dried meats, certain cheeses and eggs.